No trip to Washington, D.C., is complete without a stop on the steps of the Lincoln Memorial to appreciate the breathtaking view east across the Reflecting Pool, toward the Washington Monument and beyond to the U.S. Capitol. This is the nation’s capital at its most majestic. 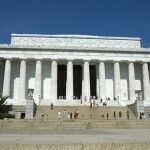 Opened in 1922 and modeled after a Grecian Doric temple, the Lincoln Memorial is a fitting tribute to the U.S. president who steered the country through a bitter Civil War. 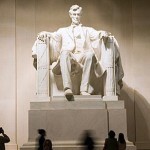 Architect Henry Bacon designed the building, and Daniel Chester French sculpted the seated statue of Abraham Lincoln, 19 feet tall and carved from 28 blocks of white Georgia marble. On the memorial walls, you’ll find inscribed the Gettysburg Address and Lincoln’s second inaugural address. 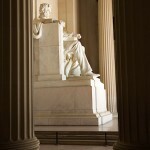 The memorial’s 36 massive columns represent the 25 U.S. states at the time of Lincoln’s death as well as the 11 seceded Southern states; state names are inscribed above each column in the order in which they joined the Union. While you’re pondering the genius of Lincoln, take a moment to remember the many historic moments that took place at the memorial, including Dr. Martin Luther King, Jr.’s 1963 “I Have A Dream” speech; opera star Marian Anderson’s moving rendition of “My Country, ‘Tis of Thee;” and, most recently, inaugural festivities for President Barack Obama. 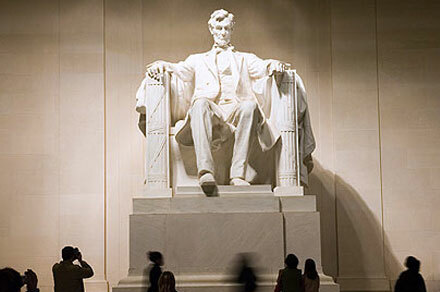 Photo ops abound at the Lincoln Memorial. When you’re finished with shots of the National Mall, walk around to the west side of the building and snap one looking across the Potomac River to the Custis-Lee Mansion on the grounds of Arlington National Cemetery. You’ll find a small bookstore and exhibit on the memorial’s lower level, but if you’re looking for extensive information on Lincoln you’ll have better luck at Ford’s Theatre. 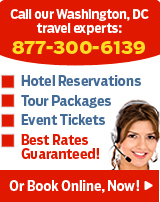 For more information visit www.nps.gov/linc/index.htm. 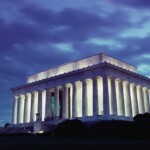 Hours: The Lincoln Memorial is open 24 hours a day, every day of the year. Park rangers are on hand to answer questions from 9:30 a.m. to 11:30 p.m. daily, except for December 25. Parking: Limited visitor parking is available along Ohio Drive, SW, between the Lincoln and Thomas Jefferson Memorials. Metrorail: Orange and Blue Line stops for Foggy Bottom-GWU or Red Line stop for Farragut North are closest, but it’s a long walk from either station.